Show the user's blast in their post. Create and show the blast in user's posts. 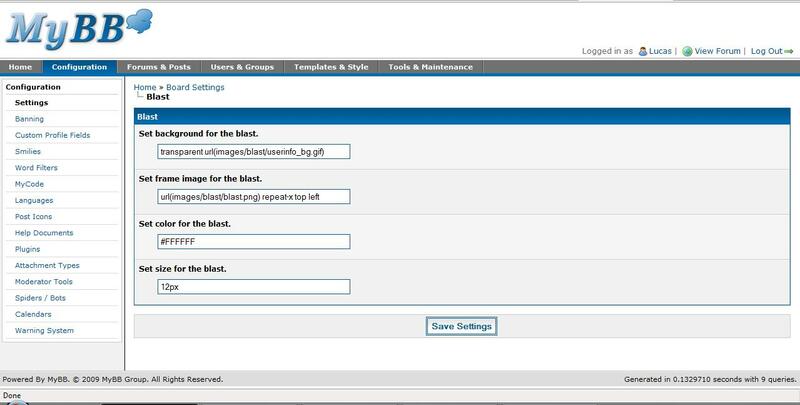 Upload everything in the "upload" folder to your forum root. Go to ACP to activate the plugin. Go to http://"forumlink/forum"/usercp.php?action=profile to fill in your blast.